Tunbridge Wells-based Larrytech, a growing website development agency, is organising a charity golf day to support ellenor. 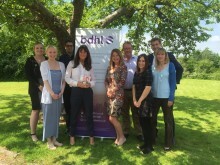 It is taking place at the Nevill Golf Club in Tunbridge Wells and 16 September and it set to bring together business people and professionals from across West Kent. ellenor was blessed with perfect weather for its Summer Fair at ellenor Gravesend. 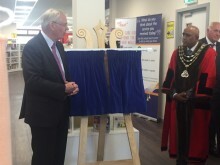 ellenor was very proud to be involved in the official opening of Swanley Link on Wednesday 6 July, which was attended by Prince Richard, the Duke of Gloucester, along with a number of local dignitaries and councillors, including the Mayor of Swanley. ellenor volunteer, Pat Allen, who lives in Gravesend, has been bestowed with The Badge of the Order of Mercy (from The League of Mercy) in recognition of her years of volunteering for the charity. A record number of people have signed up for ellenor’s Walkathon in September – which will see supporters walk 26 miles from Tower Bridge back to ellenor Gravesend. Many of them will be walking in memory of someone special. There are only a few days left to enter ellenor’s exciting Accumulator Challenge! 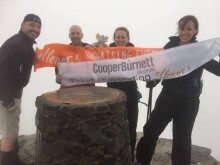 ​An intrepid team from the Tunbridge Wells-based law firm, CooperBurnett, completed the Three Peaks Challenge for ellenor last weekend within 24 hours – which included 14 hours of climbing. ellenor is holding its annual Summer Fair on Saturday 9 July from 11am to 3pm at ellenor Gravesend (Coldharbour Road, Gravesend DA11 7HQ). 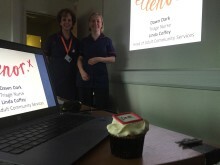 With an eye on improving end-of-life care for everyone in the local community, ellenor is running training sessions for ambulance crew members to help them identify when a patient is dying. Eight-year-old Ollie ‘Onion’ Chamberlain and his Dad, Dan, from Knatts Valley near West Kingsdown in Kent, have successfully completed another incredible adventure for ellenor. 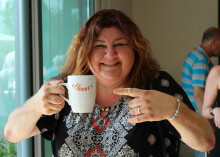 ellenor Patron, Cheryl Fergison, has helped to raise an amazing £2600 for the charity by holding bucket collections recently at three theatres during her successful run in the hit show, Menopause the Musical. 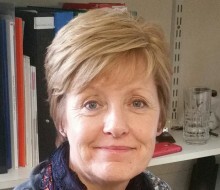 ellenor is marking Volunteers’ Week – the first week of June - by acknowledging the contribution made by the 600 volunteers who support the charity. 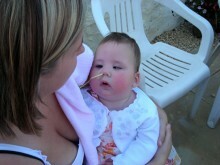 When Sophie Jenner from Snodland was born nine years ago, her parents knew straightaway that something wasn’t right. 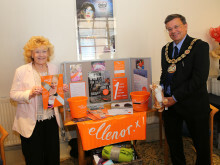 The outgoing Mayor of Tunbridge Wells, Councillor David Elliott and the Mayoress, June Crowhurst, have raised an incredible £26,000 for ellenor, their chosen charity during their year in office. ellenor launches Accumulator Challenge: How will you grow yours? ellenor has launched an exciting challenge to local businesses - the Accumulator Challenge – a competition to see which companies can grow £50 into the largest amount to provide much needed funds for families facing terminal illness. This week marks Children’s Hospice Week which this year focuses on how precious family time is and how the wide range of children’s palliative care services across the UK provide vital support to thousands of families and help them treasure their time together. A service was held at ellenor Gravesend on the afternoon of Friday 20 May to commission Reverend Elizabeth Chapman as the chaplain of ellenor. 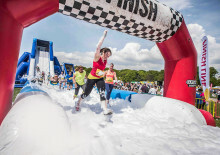 ​ellenor is delighted to have been selected as the charity partner for Gung-Ho Kent, which takes place at Brands Hatch on Saturday 4 June. Joyce Rumble left more than a remarkable story - she left a gift.